One thing that does really excite me at the beginning of every school year is that first day of school. Some of our children will be excited and nervous. Some of us parents will be nervous too, worrying about the wellbeing of our little ones and their ability to cope without us. Other parents will be rubbing their hands with glee and trying to conceal that smile they desperately try to hide. In my life I have seen the first day of school from many different angles. I still remember my first day at school and coming home thinking “That wasn’t too bad, maybe I should do that again some day!’ Was I in for an extended shock? According to my mum I was making plans to get married after my first day at school. I guess up until then I had never been exposed to so many girls with pretty new dresses. These days a first day of school ritual in our house is a special big breakfast for our three kids to start off the school year; bacon, eggs, toast, pancakes, juice, the works. We then go out into the garden and take lots of photos. Here’s a tip from my experience. In some of the photos get the kids to hold up fingers to signal what grade they are in. It makes it easier to figure out many years down the track. As a teacher and as a school principal it was always nice to see young children turn up with a sense of nervousness coupled with excitement and enthusiasm. I’d see some little ones cruise on up as if to say ‘I got this!’ leaving their heartbroken mums and dads sobbing in their wake. I’ve also seen little ones literally horizontal as their teacher holds them while their parents try to unravel themselves from their unrelenting clasp of the their tightly clawed hands. Whatever the case, school ultimately is a really great place to be and, as much as we worry as parents, our kids usually get into a rhythm. As parents we might worry if they’ll handle the work, be safe from bullies, have a teacher that will be nice to them, or push them to be the best they can be. Some of us might find ourselves worrying about how we are going to pay school fees or for that iPad that all might have to have, or that particular uniform they ‘have’ to wear. These are sometimes challenging circumstances, but they can usually be overcome by keeping in regular touch with people at the school. For some of us this might seem daunting because school may not have been that kind to us when we were there, but take it from me, schools, principals and teachers have changed a lot compared to what they were many years ago. Having been in hundreds of schools throughout Australia, my very strong belief is that principals and teachers are mostly caring and decent people who want the best for our children. Most teachers genuinely want us to be involved in our child’s education. Our role as parents then is to work with teachers to share and nurture the dreams and aspirations of our children. Be on the lookout for teachers who might have stifled expectations and be unrelenting, yet amicable, in your quest for high expectations that let your child flourish at school. When teachers know you are serious, they will take your child’s education more seriously. Good luck to all those children starting school today, particularly those starting in prep and those starting high school. Let’s get behind them and help them to have a great year at school where they can be at their very best. They are all like stars in the sky: all of them born to shine. It’s Australia Day today and I truly hope those of you who celebrate today have a good time. As for me personally Australia Day is not something I get too excited about. For many Aboriginal people, including me, the anniversary of Captain Cook setting foot in Australia and planting the Union Jack conjures thoughts of invasions, massacres and dispossession of our ancestors from our land. Not that I am looking to be too morbid on a day that many of you choose to celebrate; I am just not into it. To some extent I get why many Australians choose to celebrate today, although I cant help reflecting on the notion that Australia was not really ‘discovered’ by Captain James Cook on 26 January all those years ago. It is well known that Aboriginal Australians were here long before his arrival. What is perhaps not as well known is that many different explorers from many different nations were visiting Australia and trading for centuries before any of us even saw or heard of Captain Cook. They were more interested in trading with the First People rather than sticking a flag in the ground and proclaiming ‘All this belongs to me!’ or something like that. In spite of my misgivings, continue to enjoy your celebrations. As I sincerely respect your enthusiasm for Australia Day and the Aussie flag which many Australians, Indigenous and non-Indigenous, fought wars together under, I’d hope that you are mindful and respectful that those same symbols invoke some cruel and unkind reflections for many others, in particular, Indigenous Australians. This is not an ideal circumstance I know, but I cannot be forced to like and be enthusiastic about something I just can’t get excited about. A truly ideal circumstance would be in finding a date that symbolises and celebrates the nationhood of Australia in a way that excites both you and me together. Here is one thought! On the 3rd of June, 1992 one of modern Australia’s greatest institutions, the High Court, acknowledged and embraced one of ancient Australia’s greatest institutions, Native Title, in what was known as the Mabo Decision. It truly was a point in Australia’s history where ancient and modern Australia converged in a way that many, including me, consider positive. Surely that is something we could celebrate together. Of course there will be some who say that the Mabo Decision was a disaster because all of a sudden we had to acknowledge that Aboriginal and Torres Strait Islander Australians were already here and had title rights. I’m no legal expert but there is one simple technicality rendering this thinking dramatically flawed and to be blunt, quite dopey. Umm… Aboriginal and Torres Strait Islander people actually were here first and actually did have native title rights! Like many decent Australians I am happy to look beyond such ignorance in the interests of finding things that bring us together to celebrate. Yes this quest to find things that we can celebrate is a challenge, but it is a worthwhile challenge, and one to be excited about. Again sincerely, enjoy your celebrations today. The Stronger Smarter Institute has been flattered by the praise heaped upon the Stronger Smarter Approach and it’s the same approach that is securing better educational outcomes with Aboriginal & Torres Strait Islander peoples across Australia. In its 10th year of continuous service delivery the Stronger Smarter Institute has worked with 2,003 educators and staff from 546 schools that on any given school day are influencing the classes of over 38,000 Aboriginal & Torres Strait Islander students. We are proud to be Australians largest Indigenous initiative in education and why wouldn’t you be when the Prime Minister says “the best classrooms I’ve ever seen” “truly remarkable” and “a very sophisticated teaching method”. JUST RELEASED: The Stronger Smarter Institute has today released a ‘High Expectations Relationships – Position Paper’. The intent of this paper is to create space for conversations, to better understand the terminology and to create an opportunity for feedback. Please read and circulate amongst your networks. Which is more important for our kids? Making them stronger or smarter? My mother was sold short by low _ or rather no _ expectations of Aboriginal people. This attitude persisted in my time at school. Handing back a test, my year 11 teacher joked: “Sarra got 75 per cent. Must have been an easy test!” I laughed along with the rest of the class, and it was only years later when I was studying to be a teacher that I questioned whether or not my teachers’ expectations had stifled my sense of who I was and what I could achieve. On reflection I was being sold short and I sold myself short. Thankfully the attitudes my mother and I faced at school are less prevalent today for Aboriginal children. 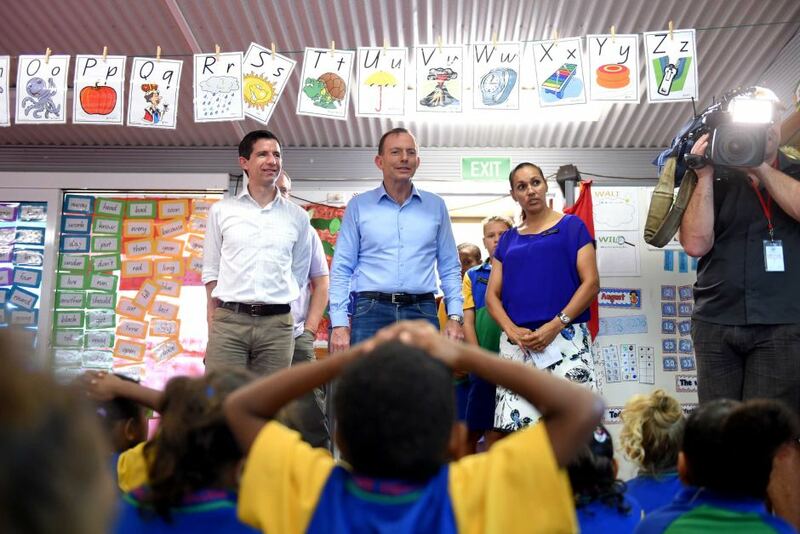 My sense from visiting a lot of remote schools in recent years is that these attitudes are dwindling and a sense of belief is emerging that Indigenous children can achieve as well at school as any other child, given access to good quality schooling with good quality teachers. Notwithstanding a tendency for low expectations still pervades, often cloaked in a well-intentioned but misguided belief to protect indigenous culture and communities. There’s a romantic view about retaining the traditional languages and culture in remote communities by shielding them from the rest of the world. This in itself reflects a stifled view of such children and their communities. These are very dynamic communities; they’re not insular and disconnected from the rest of Australia. Whether one supports the national literacy and numeracy tests, NAPLAN, or not, to argue that Aboriginal kids in remote communities should be judged by a different standard or measure than the rest of the community is collusion with the same low expectations my mother and I faced. At best it’s naïve, at worst it’s offensive and racist. Remote communities are interconnected with mainstream Australia, and have to be. Whether people have to leave their community to go the city for dialysis, or buy in goods and services, they are part of the rest of Australia and need good English language skills. Speaking, reading and writing in English should not come at the expense of pride in and knowledge of our own culture and languages. The two are not mutually exclusive; in fact they must live hand-in-hand in our communities, and in our people. That’s why we talk about Strong and Smart in our work at the Stronger Smarter Institute. It’s about retaining a sense of culture and at the same time a level of competency in standard Australian English. The argument that not giving kids access to Australian English lets them enhance their sense of culture and retain their self-identity is a naïve point of view. If remote communities are more competent in standard Australian English, it actually creates the scope for them to strengthen their cultural identity. It enables them to access the internet, to read books about other cultures and compare the similarities and differences. It allows them to record and research aspects of their culture, to capture the stories of their grandparents. All of that requires a level of competence in English and if we don’t offer them that, we could be accused of actually undermining cultural knowledge and identity. That’s the Strong part. The Smart part is if Aboriginal kids don’t become proficient in Australian English, we effectively shape them as interesting to others as anthropological subjects, functional only in that discrete local community, and completely dysfunctional outside that community. What happens when kids have to leave the APY lands in South Australia to take their parents to Adelaide for dialysis? They’re rendered dysfunctional in a mainstream Australian community because some well meaning expert thought it would be a nice thing just to focus on Indigenous culture in school. Aboriginal kids whether they’re living in remote communities or in metropolitan areas of our biggest cities deserve access to standards of literacy that will enable them to be functional in any part of Australia. They have to be as competent as anybody else in the community judged by whatever measure of success we choose. The same measuring stick used to judge success at school for white Australian children has to be the same measuring stick used for us as well. In addition to this, such assessment is enhanced when we develop ways to understand and appreciate the strengths of Aboriginal children. For instance, while NAPLAN can and should give us a sense of where a 9-year-old Aboriginal child is in terms of English competency, it cannot ever appreciate and reflect their amazing problem solving ability, resilience, or the fact they can speak 3 sophisticated Aboriginal languages. We owe it to the kids to give them the educational opportunities to enable them to be functional in Australian society and at the same time retain their cultural identity. In my travels, I’ve visited many remote communities and I haven’t come across one Aboriginal parent who didn’t want their kids to speak good English. Every human being should have the choice. If we don’t give them the same skills as the rest of the community, we’re effectively robbing them of that choice, and we have no right do that. My intent here is not to start or continue and argument about whether schools in remote Aboriginal communities should just focus on making children strong in their culture, or alternatively just focus on making them smart enough to be functional in a modern Australia. My intent here is to stop such spurious arguments by eradicating any confusion. This is not about one or the other. This is about both. As an Aboriginal man and as an educator I am asserting a human right that our schools must be committed to making our children strong and to be smart. Chris Sarra is an Aboriginal man and educator, and founder and chairman of the Stronger Smarter Institute. In a step that signals a new stage in the growth of the Stronger Smarter Institute, a highly regarded leader from Australia’s not for profit sector has been appointed as the new Chief Executive Officer of the Stronger Smarter Institute. “The appointment of Lisa Siganto is a profound and important step in the life of the Institute,” said the founding CEO, Dr Chris Sarra. In taking up the position of CEO with the Stronger Smarter Institute, Lisa has left her role after 4 years as the Qld Director and recently Project Manager for the Philanthropy Team with Social Ventures Australia, a non-profit organisation which seeks to create better education and employment outcomes for disadvantaged Australians by bringing the best of business to the social sector. The Queensland-based Stronger Smarter Institute has worked across Australia enabling school and community leaders with approaches that change the tide of low expectations in Indigenous education. Since 2005, the delivery of over 60 Stronger Smarter Leadership Programs has engaged more than 1,400 school and community leader participants in almost 400 schools across Australia, with a reach that has potentially impacted upon 30,000 Indigenous students. The Institute was founded by Dr Chris Sarra, who in the late 1990s became the first Aboriginal principal of Cherbourg State School. Dr Sarra challenged the whole school community to have high expectations of its Indigenous students and fostered the ‘strong and smart’ philosophy which embraced a strong and positive sense of what it means to be Aboriginal in contemporary Australian society. “It marks a further stage of our growth and is a sign of the great trust Australia’s educators have in us and the growing support of Australia’s corporate and philanthropic sector, who see the Stronger Smarter Institute as an opportunity to transform the lives of Indigenous and low SES school children,” Dr Sarra said. “Significantly, these partners are walking with us not because they feel sorry for Aboriginal and low SES children, but because they share our authentic belief in the pursuit of excellence for ALL Australian children. Dr Sarra will continue as Chairman of the organisation, on board to chart the Institute’s future strategic direction and provide mentoring. Dr Sarra said the Stronger Smarter Institute’s long-term leadership team remains Indigenous led and committed and energised about the future. “There can be no doubts that the transition of the Institute to an independent not for profit organisation in 2013 has been a profoundly challenging time,” Dr Sarra said. “We have emerged from those challenges having gained greater support and a wider remit to take all Australian schools beyond a stronger smarter tipping point,” he said. “I have always maintained that the Stronger Smarter Institute is about the philosophy not the individual, so my stepping away from the day to day management role won’t impact upon the work we do. “Leadership is about being as exceptional as you can be, with words and behaviours that give licence to others to be exceptional also. I like to think that my own efforts to be exceptional and have high expectations of Aboriginal & low SES children have enabled many other school & community leaders to do the same. The racist behaviour demonstrated by some at last Wednesday night’s State of Origin is disappointing. Rest assured I am enlightened enough to know that such despicable behaviour demonstrated by ‘some’, are not reflective of that of the majority. Notwithstanding we are all diminished by such ignorance and disgusting behaviour. What occurred on Wednesday night in no way reflects the attitudes of a game that has worked hard to create opportunities for Indigenous Australians. In this circumstance it is far more important to reflect on the courage, resilience and composure of former Indigenous NRL star Joe Williams and the 30 Indigenous children in his company. The Children had been participating in an outstanding program with the NSW Blues. At a time when he might have justifiably shown frustration and anger, Williams instead modelled great strength, leadership and integrity to walk away. If the individuals in question here truly love the game of Rugby League, then I challenge them to rise above such ignorance and despicable behaviour and model that strength, integrity and composure modelled by Joe Williams and the Indigenous children in his company. Racism and racist behaviour has no place in our great game of Rugby League.